A woman on a road trip with friends in Vermont drove her car into a lake, but is insisting she was only following directions from a GPS app. The three friends from Connecticut were driving in Vermont on a ski vacation. Next thing they knew, their Jeep was sinking into a lake. A local diver and company got the Jeep out, but people are asking questions about the Waze app after the incident. The popular app lets users report accidents and other snarls, such as police traps. People can also edit its maps. A spokesperson for Google, which owns the app, told the Burlington Free Press that the company couldn’t explain what happened. 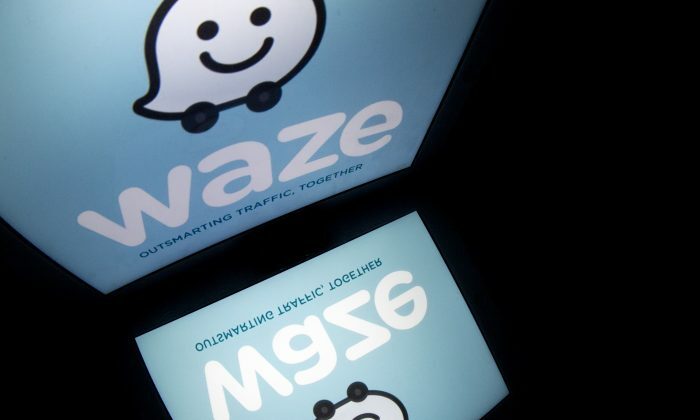 “It’s impossible to comment here without seeing the user’s driving file and we haven’t received permission to do so- generally speaking, Waze maps are updated with millions of edits to adapt to real time road conditions daily, often making them the most accurate available,” she said. The company encourages drivers to keep their eyes on the road and not follow the app’s directions blindly. Guertin told the outlet that when she realized the car was on the lake, it was too late. The dark and foggy conditions prevented them from driving back off, but the three people were safely able to climb out. She first thought the directions she had been following had glitched somehow, but she tried the same directions and got the same results after clambering ashore. Officials told WCAX that no charges were filed against Guertin. It’s not against the law to drive a car onto the lake.